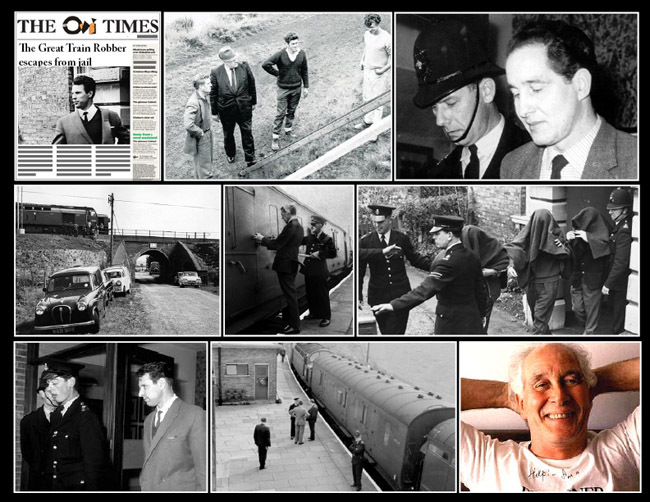 August 12th 1964; a massive manhunt is underway across Britain after one of the so-called Great Train Robbers escaped from Winson Green Prison in Birmingham. Charlie Wilson, 32, was apparently freed by a gang of three men who broke into the jail in the early hours of the morning. They are believed to have stolen a ladder from a nearby builders' yard to break into the grounds of a mental hospital next to the prison, and then used a rope ladder to scale the 20ft (6.1 metre) high prison wall.